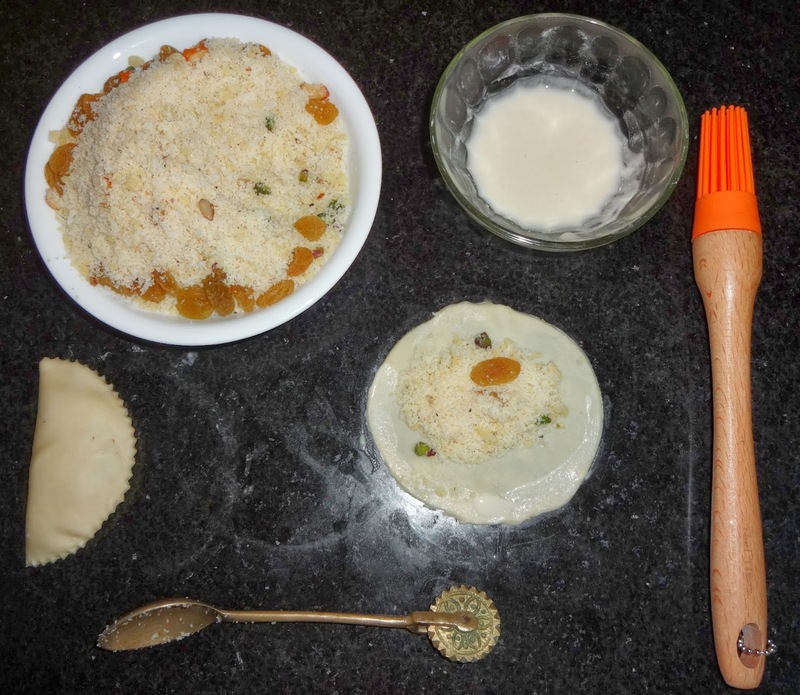 With just one day left for Holi and sensing no activity in the kitchen, my daughter asked me, “Aren’t we making Gujiyas mom?” “Well, let’s see if I have time”, I replied. This was more like telling her “sorry dear! We aren’t making any”. How do I tell her that I am not too fond of Gujiyas that are deep fried and rich. “Please…., let’s make some”, she pleaded. “Ok, we will try to make in the evening”, I replied, more to procrastinate the issue. Then, I remembered my mom making baked gujiyas last year. Baking makes them healthier. Rest, the filling can be made healthy by cutting down on khoya (dried milk) and adding loads of nuts and raisins. 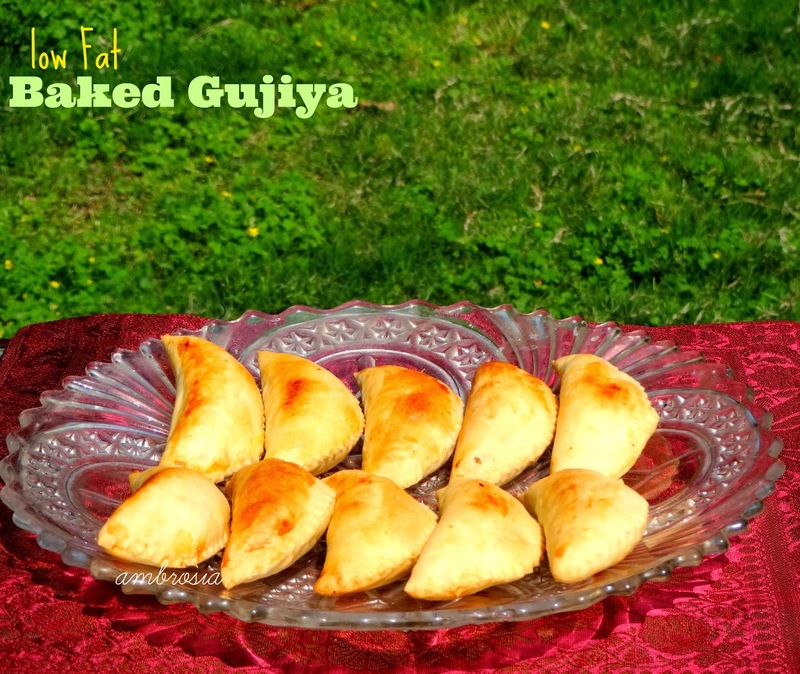 Great idea to make Gujiyas guilt free and healthy! 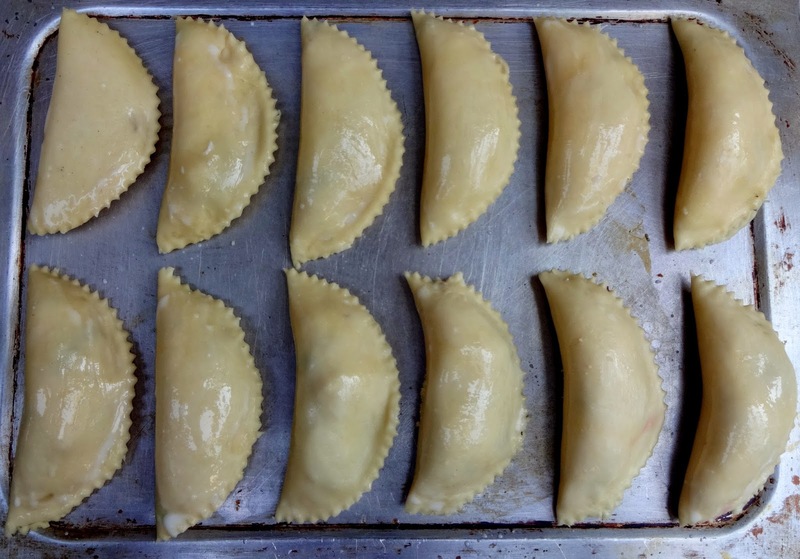 Here is how I made Baked Gujiyas following my mother’s instructions. Mix 1 tablespoon of all purpose flour in 1 tablespoon of water to form a thick paste. Whisk together flour, baking powder and salt in a kneading plate. Add water and knead stiff dough. Cover and keep for at least half an hour. Take khoya in a thick bottom steel wok. Cook on low heat. Khoya will become soft. Keep stirring and use ladle to break lumps. When it becomes lump free, turn off the heat. Let it cool. Add remaining ingredients of the filling. Mix well. 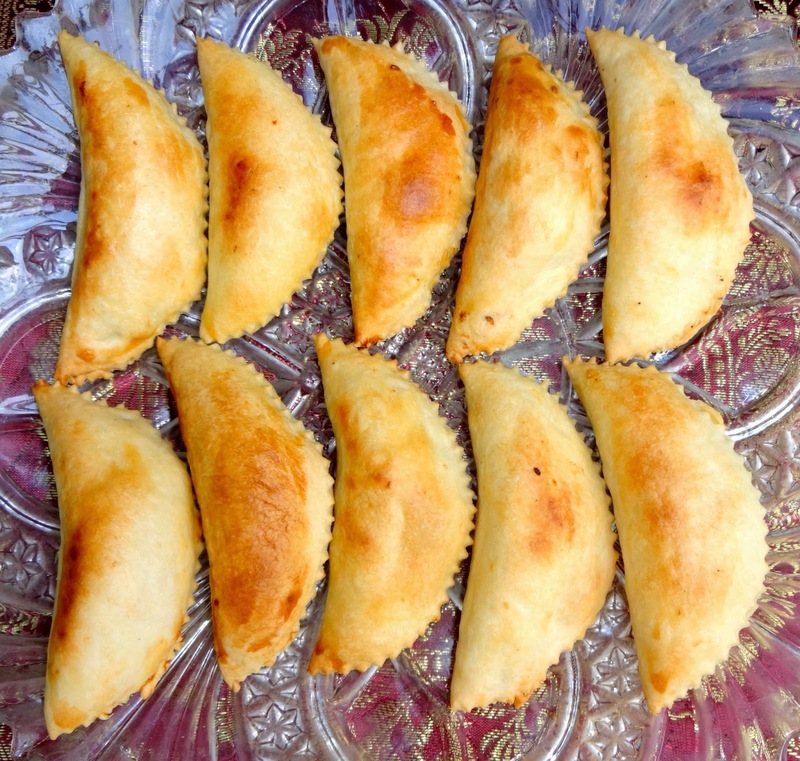 To make gujiyas, take small balls of dough and roll out small thin chapattis. Do not dust with flour. Cut it into a round with a bowl. This gives uniformly sized gujiyas. Put 1 ½ to 2 teaspoons of filling and apply the flour paste on half part of the rolled dough. Fold one side of the round over the other and seal the edges. Cut the edges with a fluted gujiya cutter or twist the edges to seal. Arrange them on the baking tray. Bake till the top turns golden. It will take about 10 to 12 minutes. Turn and bake the other side. Remove from the baking dish and spread on the wire rack to cool.